Citigroup is reportedly close to a $7 billion settlement with federal authorities. Citigroup looks like it's next to face a reckoning for the mortgage crisis. U.S. law enforcement confirm that Citi is close to $7 billion deal to settle charges that it packaged bad mortgages during the run-up to the financial crisis. 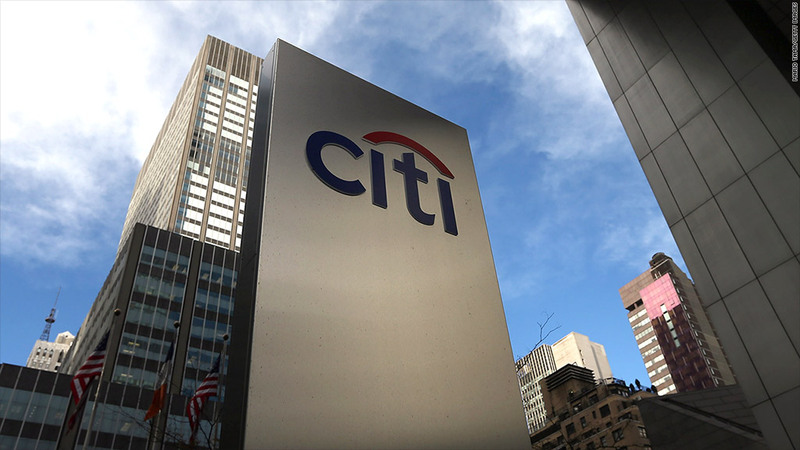 The final deal, which would avert a civil suit by the Justice Department against Citi, is expected within the next week. The settlement, which also covers a group of states, will include $4 billion in penalties and much of the rest in mortgage modifications and other relief to homeowners. Representatives of Citigroup declined to comment. The settlement will mirror similar agreements with JPMorgan Chase (JPM) and other lenders in recent years. The amount is far more than the $4 billion Citi (C) was reported offering to pay as recently as June. The breakthrough in the talks occurred after Justice Department lawyers notified the bank that they were prepared to file a lawsuit against the bank. The settlement would be about half of the $13 billion settlement that JPMorgan Chase agreed to pay last November, and is also smaller than a $9.5 billion settlement with Bank of America (BAC) in March the regulator of government-controlled mortgage lenders Fannie Mae and Freddie Mac. Bank of America remains in talks with the Justice Department on a separate mortgage settlement with that agency, but government lawyers and the bank remain billions of dollars apart. Citigroup has been under increasing pressure from banking regulators. The Federal Reserve gave Citigroup a poor grade in its stress test in March and blocked its plans to return money to shareholders through buying back shares and increasing the dividend. By contrast, Bank of America initially won approval of its own buyback and dividend increase, though it had to drop those plans after admitting an error in the calculation of its capital ratio. Citigroup has also disclosed that its under investigation for alleged fraud and money laundering violations at its Mexican subsidiary Banamex.